One of the most rewarding projects with which I have been involved had a surprise ending. A hospital foundation had contracted me to introduce charitable estate planning possibilities to a select group of donors. As is our standard approach, the hospital set up the appointments, and I talked about estate planning techniques that could help donors achieve their financial objectives. There was no pressure on the donors and none on me. I got paid the same regardless of what they did or to whom they gave, whether I spoke with twenty people or with two. My sole concern was helping them with estate planning needs. They arranged for their children to join us so that they could understand how mom and dad were planning to give away $3.6 million. If donors decided to work through the process, we spent the first several meetings surveying and discussing their beliefs, values, and highest hopes. Then we constructed a beliefs-and-values statement, followed finally by an estate plan proposal. The whole process took about six meetings. With each step we went to great lengths to explain what we were proposing, specifically how it would facilitate each of those beliefs and values, and how it would make their highest hopes become a reality. At the end of process these donors were absolutely thrilled at what they had done, primarily because they understood it and secondly because every element of the plan was linked to a deeply held belief and desire. We could have stopped there and called it a great win. However, in that last meeting the donors wanted to go a step further. They arranged for their children to join us so that they could understand how mom and dad were planning to give away $3.6 million. As you might image, the children (particularly the oldest son) were not predisposed to share all this philanthropic excitement. In their minds, it was their inheritance being given away. The son came in and sat down with crossed arms, clinched teeth, and a fixed frown on his face. He said nothing, but his body language was screaming. The son came in and sat down with crossed arms, clinched teeth, and a fixed frown on his face. As his parents went through the plan, he began to soften his defiance posture. Then he began asking questions. By the time the donors were finished with their explanations, he was leaning over the table, talking enthusiastically about how their family was going to change the world, and wondering how this could be passed onto their own children. For a person like me dedicated to meeting donor needs through charitable estate planning, watching that couple explain the plan to their children is about as good as it gets. Some might consider that to be crazy talk. “It can’t be that simple, and you can’t meet the organizational needs by only focusing on donor needs.” That is exactly what a well-known professional in our industry told me in 1985. However, for almost twenty years we have maintained a ninety percent execution rate, compared to a national average of less that ten percent. We did not achieve that by chasing donors or dollars but simply by serving people. Many professionals have been trained as tacticians — that is they are oriented to fix problems and propose solutions. They have extensive legal and financial skills and (in their minds) that is primarily what they bring to the table. Because for many clients, the meter is ticking, the objective is to propose and fix as quickly and efficiently as possible. Sometimes the hardest thing for an expert tactician to do is put aside twenty years of education and focus on the emotions that are driving donor priorities. However, in a highly productive charitable estate planning environment, what donors think, say, and want is far more important than a gift planner’s expert advice or fundraising goal. Sometimes the hardest thing for an expert tactician to do is put aside twenty years of education and focus on the emotions that are driving donor priorities. It is not just spending three sessions talking about deeply felt needs and desires; it is the ability to be comfortable and relaxed in that situation. 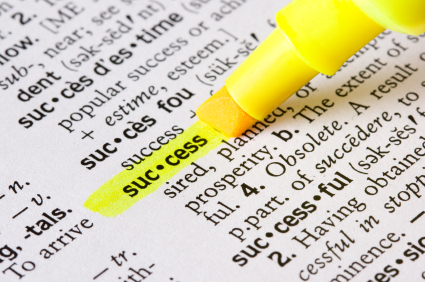 This approach and the definition of success above are not as easy to adopt as you might think. Some have had that perspective all along. For others, it is big adjustment. Then there are those who never seem to get it. A university president who once told me: “It’s whole lot easier to raise money when I don’t have to.” He was indirectly saying that when he could relax and focus on donors and their needs, both he and the donors had a much more successful and rewarding experience. Perhaps that is what the passage from Luke’s Gospel means. “Give (i.e. serve and help without seeking a return), and it will be given to you. They will pour into your lap a good measure—pressed down, shaken together, and running over. For by your standard of measure it will be measured to you in return” (Luke 6:38, NASB). When Eddie addressed the PPP Nashville a few years ago, he paused near the end and said “So what are we really trying to do here?” Hands shot up. People mentioned tax avoidance, increase in income, etc. Someone else said “We are trying to make their dreams come true.” Eddie smiled and took notice!